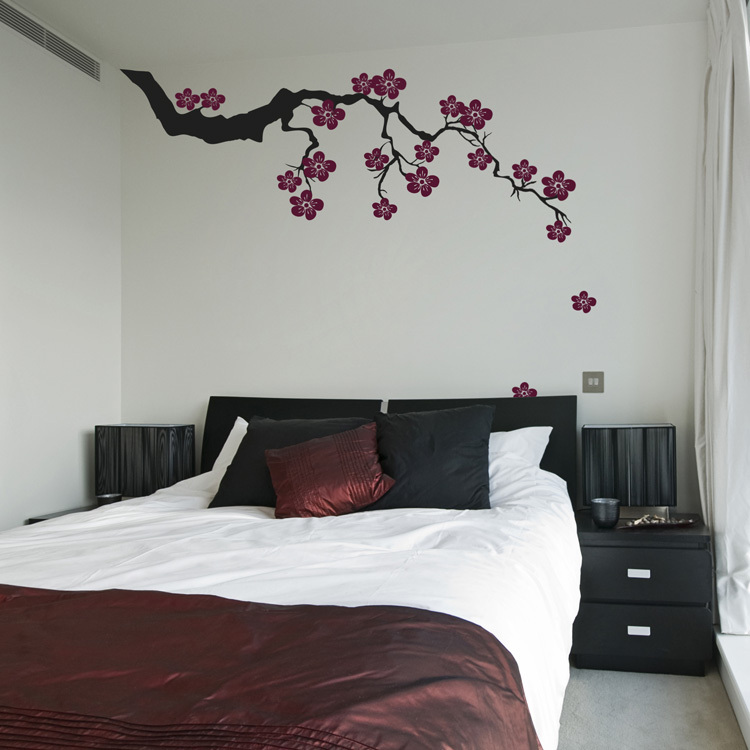 This beautiful exotic Sakura branch with falling blossoms adds elegance to any room you choose to put it in! 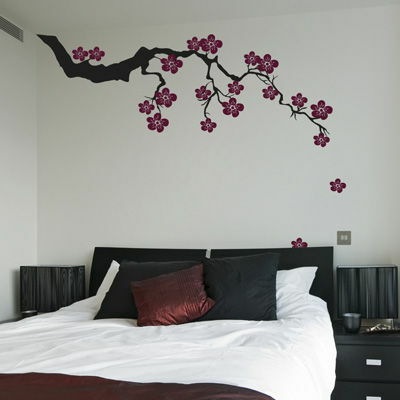 Our wall decals are ideal for offices, living rooms, entryways, classrooms, or even your car! Branch without blossoms measures 68 inches wide by 22 inches tall. The 12 larger blossoms measure approximately 6 inches wide by 4 inches tall. The 24 smaller blossoms measure approximately 4 inches wide by 3.5 inches tall. Branch is shown in Black and Blossoms are shown in Burgundy.